Years covers;2007 to 2010. 2 x (number plate light. 4 x (front side light / number plate). The Kit Includes;. 2 x (stop light / tail light ). ). 2 x ( headlight bulb fits dipped beam). Years covered;2004 to 2010. 4 x ( front side light / number plate / interior light. 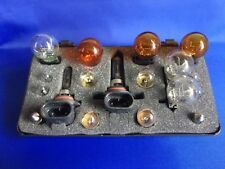 The Kit Includes; Selected bulbs for the above vehicle;. 1 x ( reverse light / rear fog light ). ). 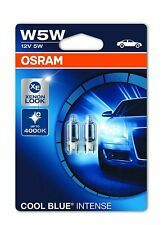 2 AMPOULES XENON D1S 12V 35W 6000K BMW Z4 E89 CHRYSLER 300C CITROEN C4 II 2009-U. Paire d'ampoules Xenon D1S 6000K. 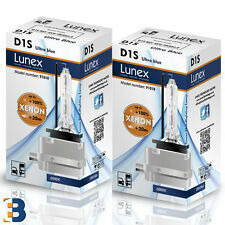 • 2 Ampoules type Xenon D1S 6000K. • Douille D1S. Le kit comprend . (HVAC necessary 5 Bulbs. Minimum soldering skills required). -1x Shift Indicator Light bulb and cap (no soldering required). 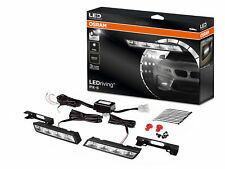 • Chaque feux comporte 8 LED blanche et 8 LED orange. Le kit comprend Support technique. • Eclairage puissant 6000K. 2 x Headlight bulb (fit's dipped beam headlight). Years covered:2000 to 2007. 4 x (side light / number plate light / interior light ). 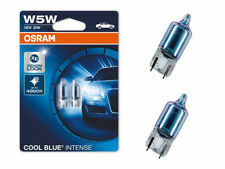 The Kit Includes; Selected bulbs for the above vehicle;. 2 x (stop light / tail light). Las actualizaciones de las luces Led DRl individuales, con luz antiniebla led extra en una sola luz. De todos modos, con él, no solo hará que su conducción sea más segura, sino que también haga que su auto sea fresco y de lujo. Tipo connettore: H11. Rilasciamo regolare ricevuta fiscale e su richiesta è possibile avere la fattura. - Luce stabile e costante. IN QUESTA INSERZIONE VIENE VENDUTA UNA COPPIA DI FENDINEBBIA PER JEEP WRANGLER JK 2007-2015. ANELLO ANGEL BIANCO. per Chrysler PT Cruiser 2006,2007, 2008,2009, 2010. per Jeep Wrangler Unlimited-Door (JK) 2007,2008, 2009,2010, 2011,2012, 2013,2014, 2015,2016. All bulbs are CanBus compatible. Full interior LED light bulbs SET/KIT- Super Bright, High Power SMD LED. 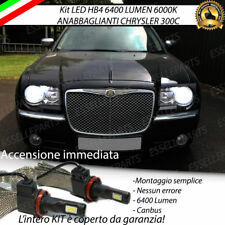 to fit Chrysler VOYAGER & Grand. 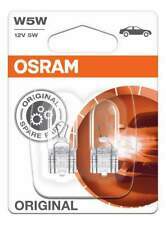 2x passenger and driver door LED bulbs. 2x panel LED bulbs. 2 x 4 LED-Leuchten. jede Straße fahren. Dank ihrer Farbtemperatur von 6.000 Kelvin wirken sie besonders hell. die 2x 6 LEDs mit wenigen Handgriffen und schon kann es losgehen. und modern. erstrahlen, der seinesgleichen sucht. IN QUESTA INSERZIONE VIENE VENDUTO UN FARO FENDINEBBIA LED PER JEEP WRANGLER JK 2007-2015. per Chrysler PT Cruiser 2006,2007, 2008,2009, 2010. per Jeep Wrangler Unlimited-Door (JK) 2007,2008, 2009,2010, 2011,2012, 2013,2014, 2015,2016. 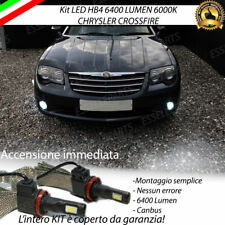 DRL KIT 2 x 8 LED indicadores incorporada CHRYSLER SEBRING STRATUS 300 c. Dar un estilo moderno y de moderno a su auto con estas luces de día led. • Cada una consta de 8 luces LED blancas y 8 LED naranja. Dank ihrer Farbtemperatur von 6.000 Kelvin wirken sie besonders hell und modern. 2 x 18 LED-Leuchten. 2 x LED Kennzeichenbeleuchtung Module. Sicherheit im Straßenverkehr. Modell: 019. haltbar bis zu 50.000 Stunden. Wichtiger HINWEIS !! 100 Lampen (5 x 20 Stück). alle Lampen E-Norm. diese Lampen finden Einsatz als 12V 5W Glassockel. 12V 1,2W Glassockel. 12V 5W Glassockel ( Kennzeichenleuchte, Standlicht, Blinkleuchte ). 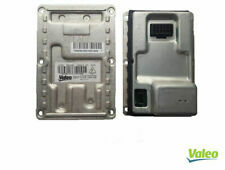 Manufacturer Part Number SJHK5689. H11 HID Kit amarillo de 3000k 35W. Color: 3000k amarillo dorado. Montaje: h11. Reference OE/OEM Number H11 711. 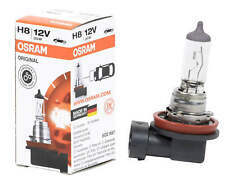 Headlight Bulb Type H11. Potencia: 35W (igual fábrica equipada faros de xenón). 5W Cree Led. LED Light Logo Projector Kit. Two led lights with desired logo. You may need to remove door cards to properly fit these lights. Designed to fit into the bottom of the door card and will project car make logo onto the ground. CHRYSLER VOYAGER III (GS) 1996-2000. DODGE CARAVAN III 1996-2000. JEEP CHEROKEE (KJ) 2002-2007. JEEP GRAND CHEROKEE I (ZJ) 1993-199. JEEP GRAND CHEROKEE II (WJ) 1999-2004. TAIL LIGHT SOCKET. CHRYSLER TOWN&COUNTRY 1996-2000. Base: W16W, T15, 921, 168, 194, 912, 906. 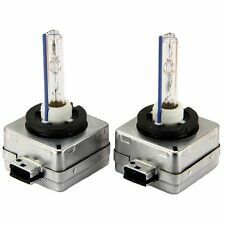 2x (a pair)T15 W16W 7.5W High Power LED(5 1.5W). Reverse bulbs. We do suggest checking with your manual to confirm these are the correct ones for your car. These are Super Bright, High Power - SMD LED. Wegen der geringen Ausmaße von155 x 18 x 37 mm genügen wenige Handgriffe. Ohne R87 Modul. extrahelles Xenonlicht. 2 x 8 SMD-LEDs. Temperatura de color de 4300k. ¡Bulbos de alta calidad suministrados! Acerca de nosotros. En et tortor ø Aliquam commodo fringilla Unión. Donec sodales prima augue ac ornare. En rutrum felis auctor de erat ut, UE pulvinar risus fringilla.